Tallinn, ESTONIA, Nov. 12, 2018 — ContentQuo, an Estonian technology startup serving Global Top-10 LSPs and large corporate & government translation buyers, has today announced dedicated features for linguistic evaluation of Machine Translation quality as the newest addition to its scalable, enterprise-grade Translation Quality Management SaaS platform. Companies can now effortlessly measure and track the quality of Raw MT output through holistic, segment-level human evaluation models (such as Adequacy-Fluency), with Edit Distance metrics for Post-Edited MT launching in Q1 2019. These holistic assessments can be combined with flexible MQM-DQF analytical quality evaluations and post-editing capabilities already available in ContentQuo to enable continuous improvement of custom MT models. ContentQuo’s newest features, combined with Intento Web Tools that allow easy access to dozens of MT engines without API integration, deliver a complete, cost-effective solution for organizations looking to evaluate, select, deploy, and continuously optimize Neural Machine Translation across a large customer & engine portfolio. Holistic MT quality evaluation features are available now to select ContentQuo customers and will be generally available in early December 2018. To see a live demo of using ContentQuo and Intento together, please register for our free December webinar or send an inquiry to hello@contentquo.com. 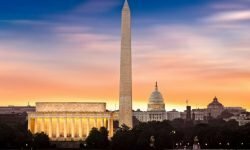 More information on https://www.contentquo.com . 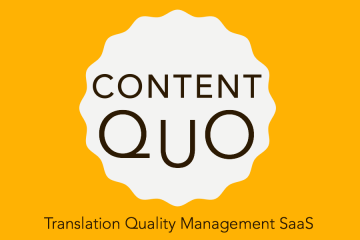 ContentQuo translation quality management SaaS helps corporate localization departments and LSPs manage & reduce their language quality risk and improve vendor performance with a data-driven approach, regardless of their TMS.